Latest acquisition...and I hate to say that I don't like it at-all. First fantasy piece in my collection and perhaps the last one too. 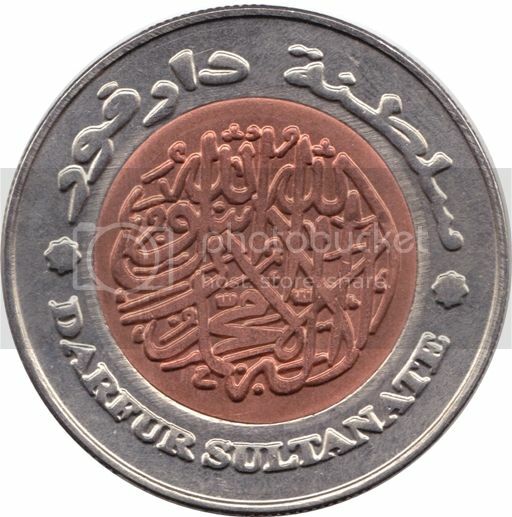 Sultanate of Darfur, 500 Rials (2008). 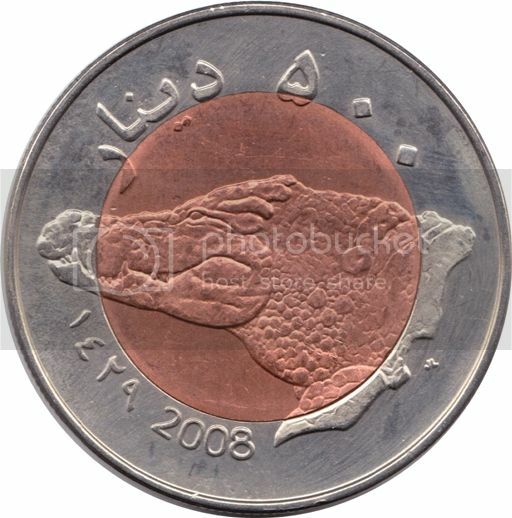 Re: Bought Some Trash: "Sultanate of Darfur"
I have a Darfur coin. A 2008 250 Dinaras with an elephant on it. I quite like it. Yours isn't a bad looking item. Nice contrast in the metals too. I get the ocassional trash coin too. Sometimes because I have nothing from there...wheather there is a real there or not and sometimes because I like the design. A nice fantasy is better than boring reality (no, i don´t mention some modern currency issues now). By the way can someone read the inscriptions on inner pill of the obverse (First scan)? Perhaps the kalima, stylized. I can make out Allah and Muhammad. The clown and the invalid both look "challenged", but the invalid has dignity.